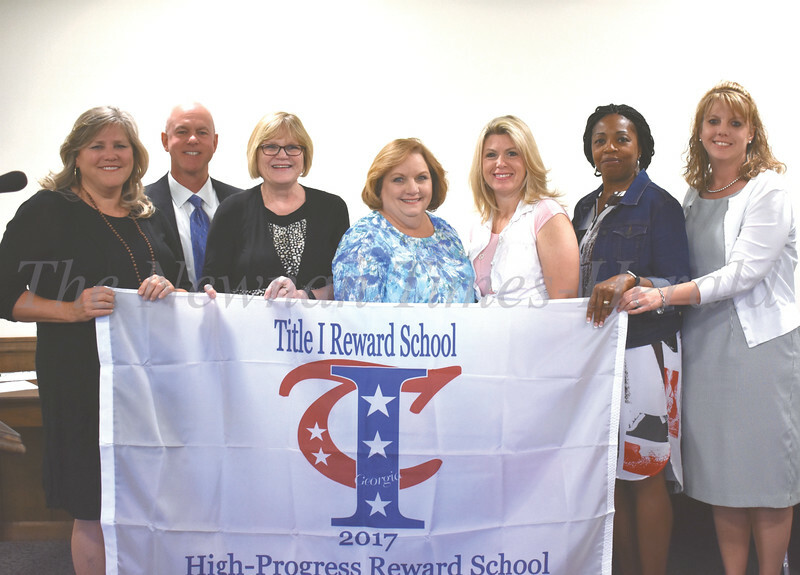 From left are Sharon Liebe, Principal Andy Clarke, Janet Wunner, Gayle Barker, Kim Mitchell, Sheila Bealing and Kim Taylor. 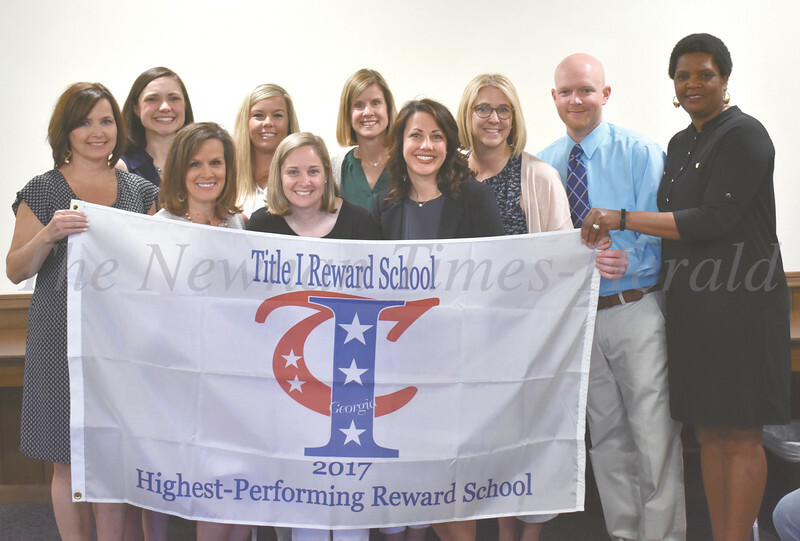 From left are Amy Dawson, Becca Springfield, Wendi Whitehead, Shelene Long, Mary Elizabeth Crews, Sally Brass, Principal Christi Hildebrand, Laura Bass, Jud Baker and Nina Wimbley. 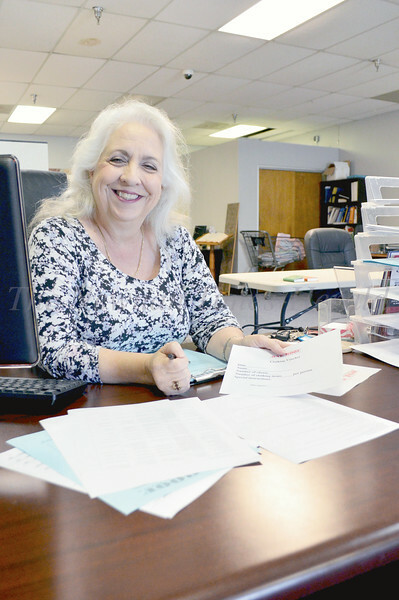 Derenda Rowe, founding executive director of One Roof Outreach, is retiring and moving back home to Alabama. 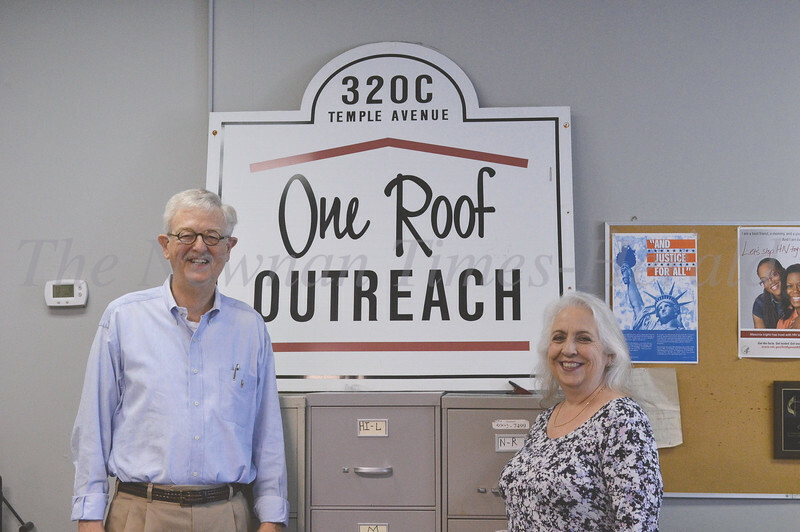 Dr. David Gregory will become the new director of One Roof Ecumentical Alliance Outreach upon the retirement of founding Executive Director Derenda Rowe. 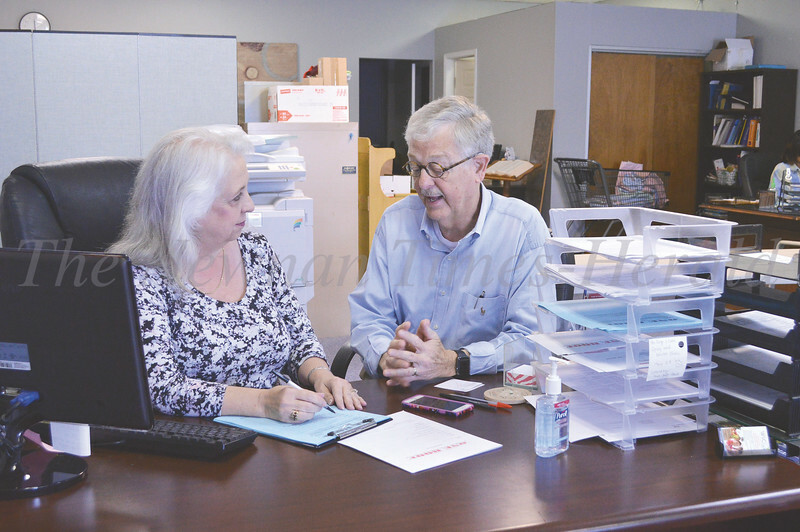 David Gregory will be spending the next several weeks shadowing One Roof Executive Director Derenda Rowe to learn the ropes before taking over July 1. 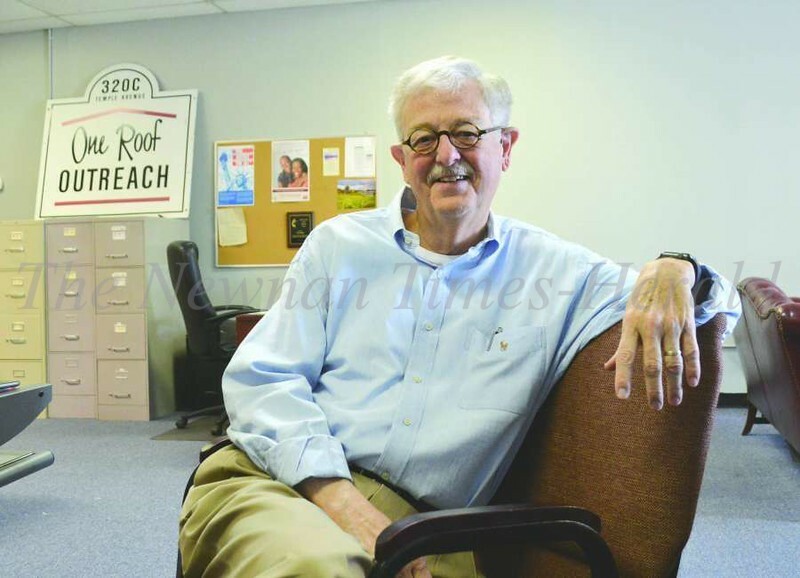 Dr. David Gregory, who retired as homeless liaison and director of federal programs for the Coweta County School System, will be the new executive director of One Roof Outreach. 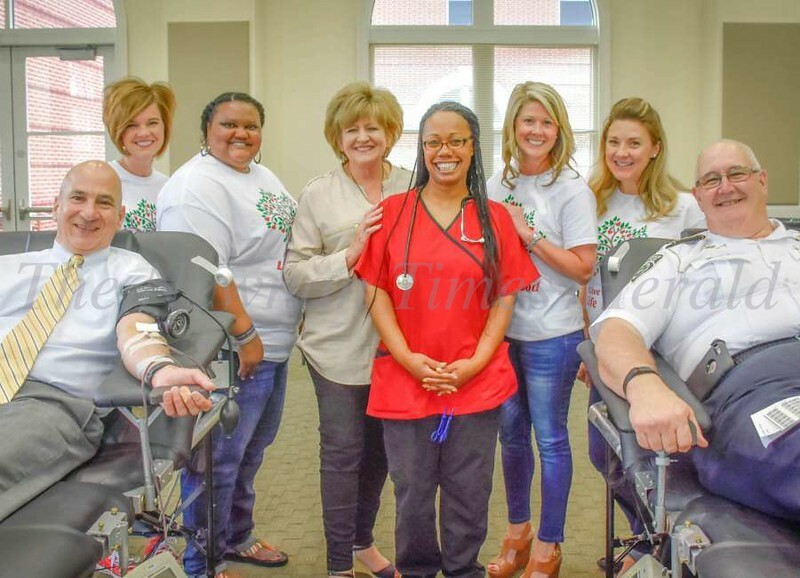 From left are, District Attorney Pete Skandalakis, Katie Cash, LaDonna Arnold, Becky Hyatt, Erika Hesy, Allison Boone, Sheri Williams, and Chief D.L. 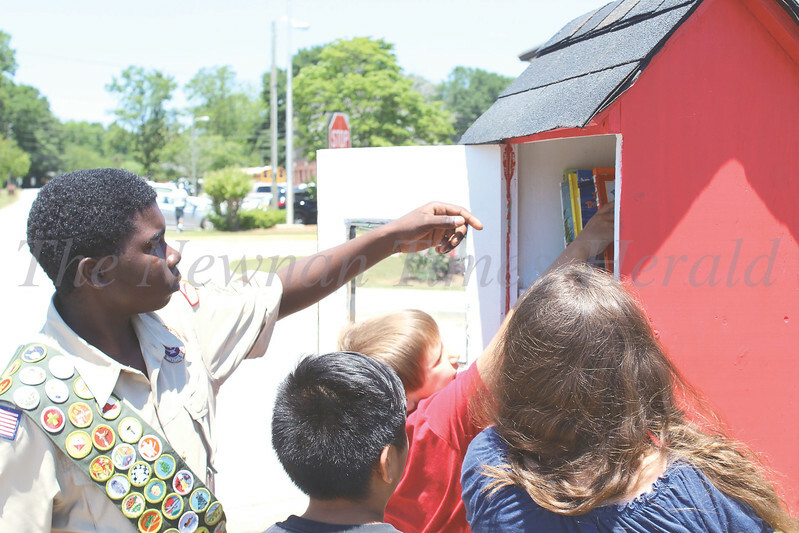 "Buster" Meadows. 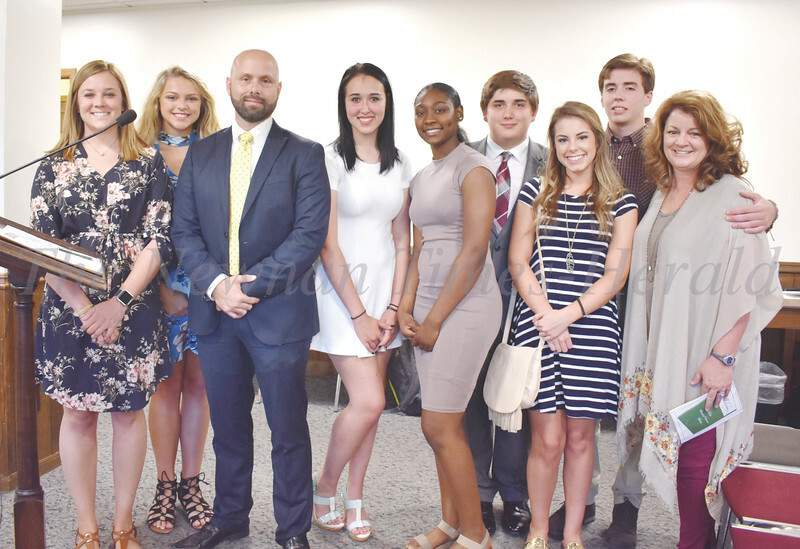 Statewide Champions - left to right, Sponsor Dr. Allison Hurst, Lexus Butler, Principal Chase Puckett, Kaylee Farr, Maxy Gates, Austin Peley, Adaline Morris, Anthony Bonomi and sponsor Susan Turner. 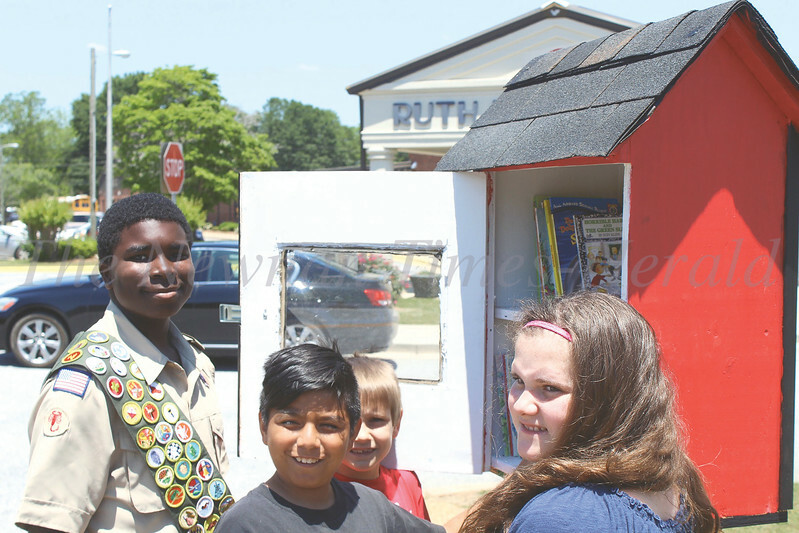 Named Gold Council of Excellence. 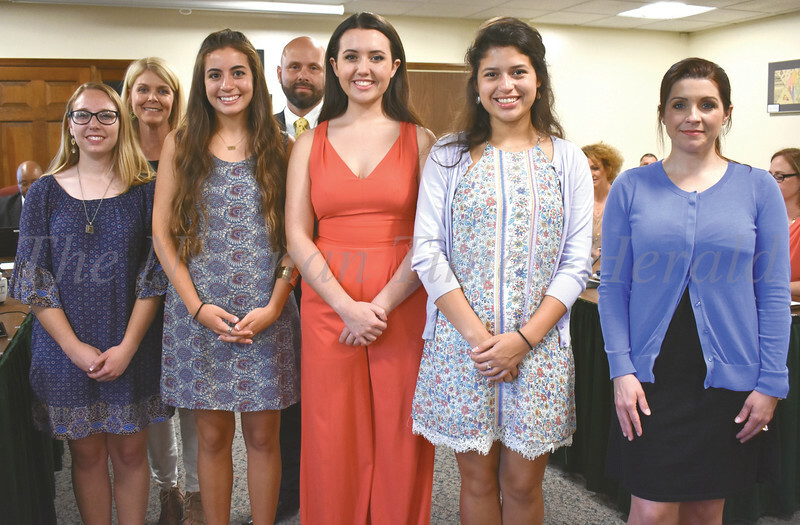 Left to Right, front row: Stephanie Cannon, Sophie Bonomi, Claire Piontek, Danna Subia and sponsor Jenny Welch. 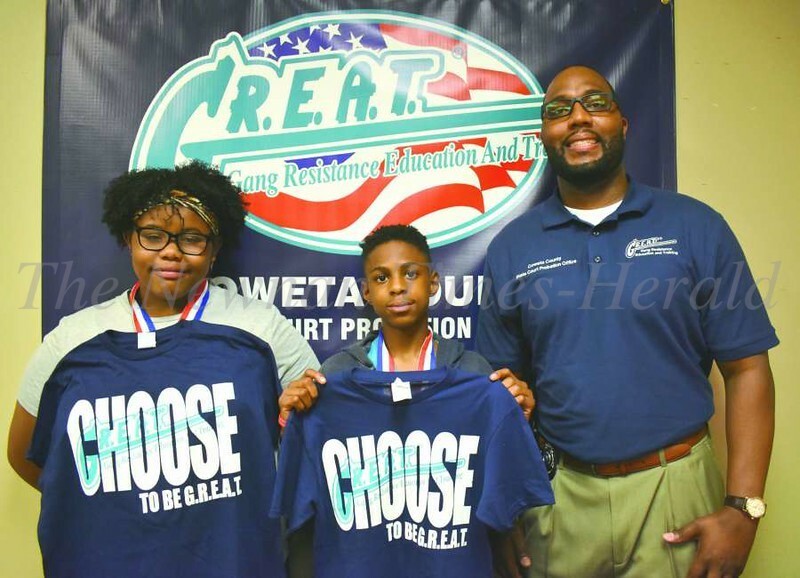 back row, sponsor Lori Mayes and Principal Chase Puckett. 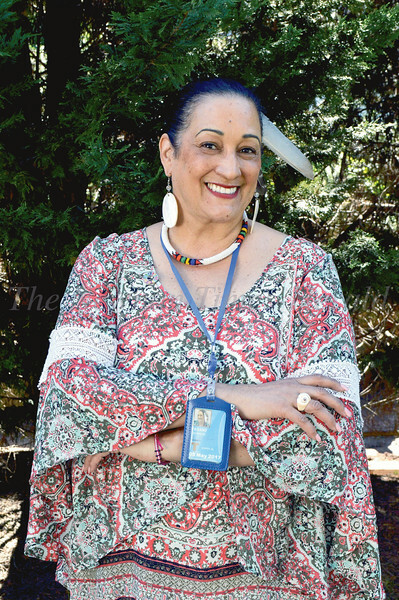 Coweta’s Carmen Pagano, a Taina of the Higuayagua clan was an observer at the recent 16th session of the United Nations Permanent Forum on Indigenous Issues. The experience inspired her to focus on the problems faced by indigenous women. 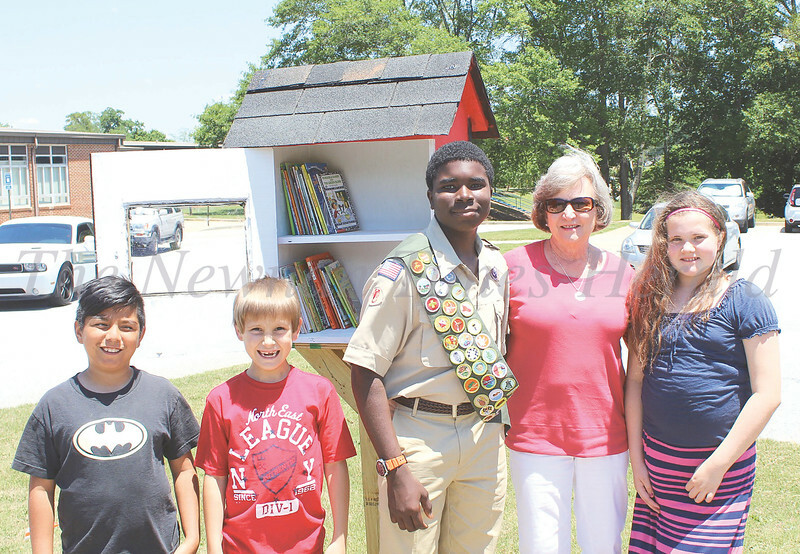 Celebrating at the opening of the miniature outdoor library at Ruth Hill are, from left, Drakkel Smith, Jonathan Reddish, Ella Trout, Aaron Corley, Max Tinoco and Anne Graner. 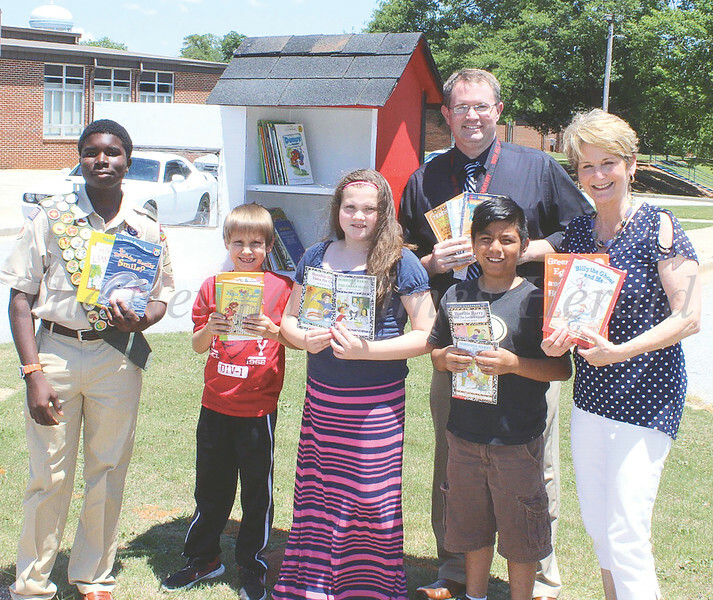 Corley is the school’s principal, and Graner is the media specialist. 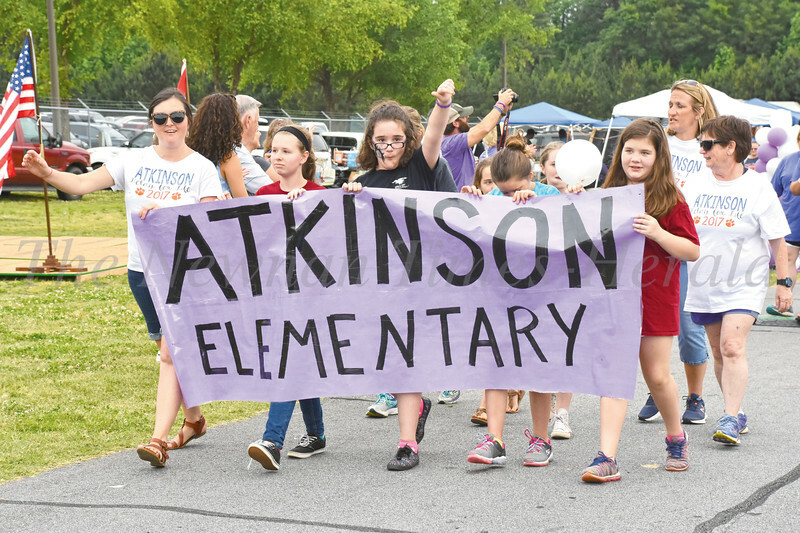 Students and teachers from Atkinson Elementary School in Newnan hold a large, handmade sign and take a turn walking around the track at the Coweta County Fairgrounds during the Relay For Life event.